Fast becoming a standard add on to any safari itinerary passing through Kasane The Cresta Mowana Spa is a haven of beauty and tranquillity, offering a wide ride of specialised treatments to match your clients every beauty need. Four private treatment rooms are available for guests, complemented by a raised deck overlooking the mighty Chobe River on which open-air pampering sessions are highly recommended. 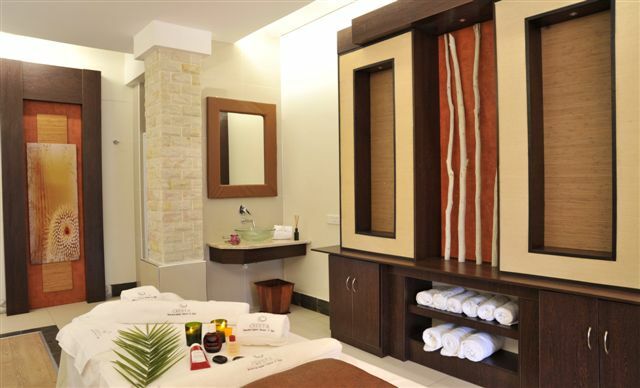 If you believe that sharing is caring, then the double treatment room is ideal for couple’s treatments. The spa offers top-class facilities as well as a range of Clarens treatments and therapies, enhanced by the restorative qualities of natural ingredients. Relax while we combine nature’s inherent healing and beautifying qualities with the very latest technologies to create harmony of body, mind and soul. Apart from the Clarens treatments, the Cresta Mowana Spa offers all of the usual beauty and health therapies, as well as our unique African and Asian signature treatments, ensuring that the stresses and strains of city living are effectively eased away. The Lodge operates its own fleet of boats, catering for both the small “game cruise”, to on-board dining experiences for groups. In order to make life easier for our clients the Lodge has refurbished its dock and jetty areas. Access from the main lodge area is both easy and safe, allowing Mowana clients door to door service for all river cruises.